Summertime in Austin is beautiful… and hot! If you’re like most Austinites, you love spending time outdoors, and it’s even better if there’s a shaded patio and maybe a cool mist blowing, too. 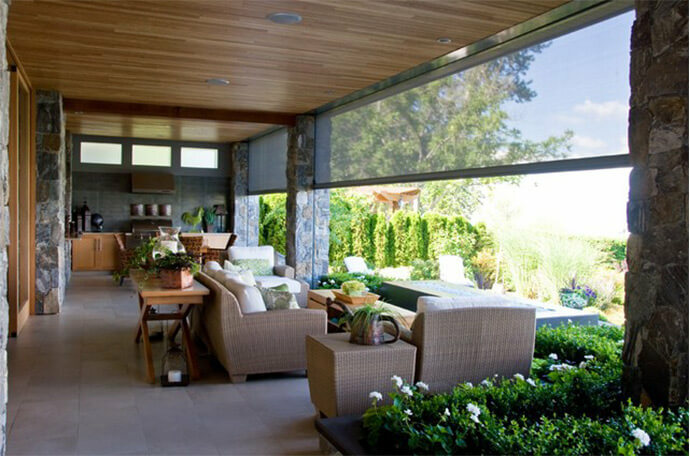 With custom exterior shades in Austin, you can take some of the heat off of your favorite outdoor spots at home. Exterior sun shades can also help you save some serious dough on your cooling costs — by as much as 25% to 40%! Keep reading to learn about your options from Southern Shutters, Shades and Blinds. 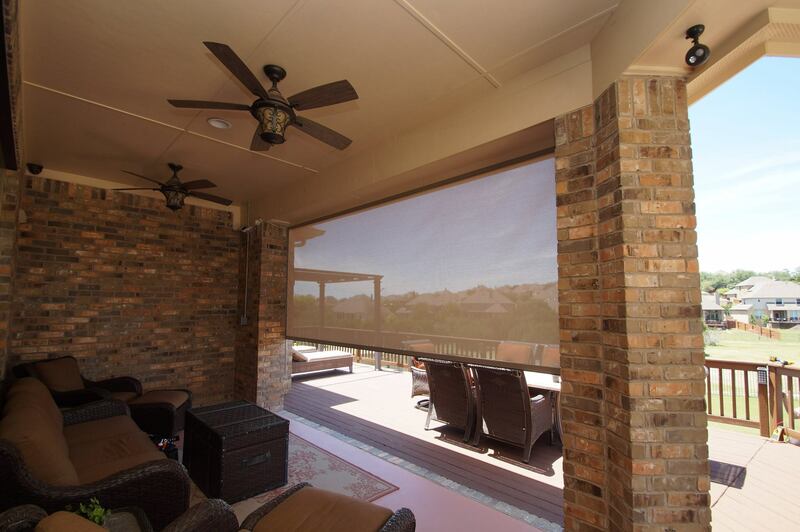 Our team wants to provide you with the very best in shades, and that’s why we offer exterior sun shades from Southwest Sun Control. From small shades that you can use to block out the sun’s rays every now and then to a heavy duty shade that provides industrial-level protection, Southern Shutters Shades and Blinds offers an excellent product for your home. Motorized exterior shades are attractive, efficient, and programmable to automatically raise and lower at certain specific times of the day. And the biggest advantage of all? Exterior shades let you spend more time where you want to be this summer… comfortably enjoying the outdoors! Exterior sun shades are customizable to each home. Programmable timers allow you to close your shades to protect your home at specific times of the day, like those west-facing windows at sundown or covering up your windows while you are away. Wind and RTS sensors also tell your shades when to roll up to protect your shades from high winds or inclement weather. And with a multiple motor control, you can control all of your shades with just one remote! Exterior shades are a smart investment for your home, and with warranties of 10 years on fabric and the product and a 5 year warranty on the motor, you can feel even better about outfitting your home with custom exterior shades from Southern Shutters, Shades and Blinds. Are you interested in protecting your favorite outdoor home spots from the harsh Austin summer sun? It’s a wise investment to make in time for June, July, and August. And even when it’s not blazing hot, exterior shades protect your home furnishings from harmful UV rays. Especially helpful in Austin are the metal tracks, which enclose your space, helping keep out any special buzzing friends that may want to join your patio party. Please give us a call today for a free in-home consultation! We’ll measure your space and begin discussing how we can help you create your outdoor sanctuary with customized exterior shades.